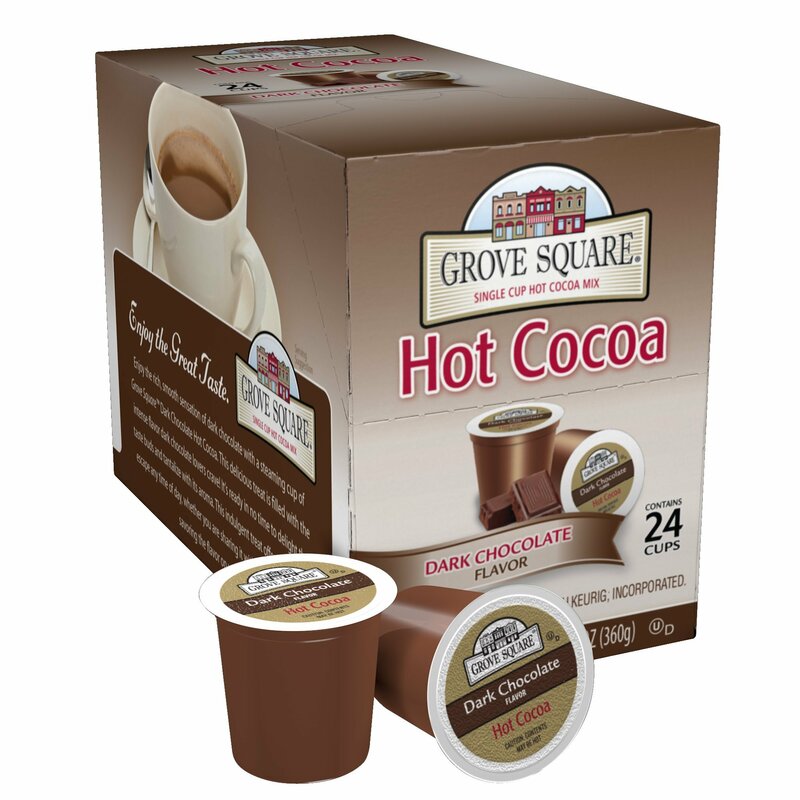 Flavor: Dark Chocolate | Size: 24 Count At Grove Square we make delicious beverages that are compatible with yourfirst generation Keurig K-Cup Brewer. The wonderful community of Grove Squareincludes three neighborhoods, each offering its own unique single-serve hotand cold beverages. On Barista Boulevard, cappuccino is the house specialty.Orchard Lane is a cider lover's paradise, while Chocolate Circle is the placefor rich, old-fashioned cocoa. We invite you to visit and sample everythingGrove Square has to offer. It's a comfortable place where you'll feel right athome, and there's a delectable, convenient beverage for everyone!